Abstract—There is lot of work done in prediction of the fault proneness of the software systems. But, it is the severity of the faults that is more important than number of faults existing in the developed system as the major faults matters most for a developer and those major faults needs immediate attention. As, Neural networks, which have been already applied in software engineering applications to build reliability growth models predict the gross change or reusability metrics. In which majority of faults are found in a few of its modules so there is a need to investigate the modules that are affected severely as compared to other modules and proper maintenance need to be done in time especially for the critical applications. In this present work, hybrid fuzzy-Genetic Algorithm and fuzzy clustering based technique to be studied. Fuzzy clustering Based techniques are also discussed for the comparative analysis in order to predict level of impact of faults in NASA’s public domain defect dataset. Predicting faults in the software life cycle can be used to improve software process control and achieve high software reliability. The results show that when the best prediction techniques are evaluated. 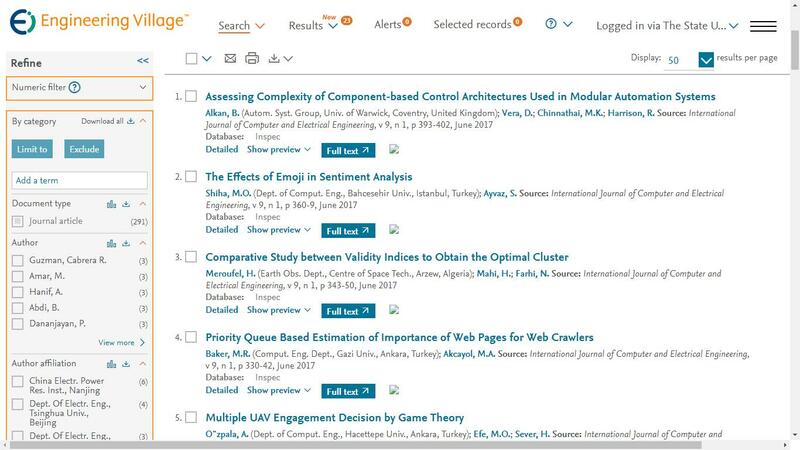 Cite: Kritika Gupta and Sandeep Kang, "Fuzzy Clustering Based Approach for Prediction of Level of Severity of Faults in Software Systems," International Journal of Computer and Electrical Engineering vol. 3, no. 6, pp. 845-849, 2011.